Victims of disability hate-crimes are not getting sufficient levels of support, despite recommendations being made more than two years ago, a report has found. The study, conducted by Britain’s Criminal Justice Joint Inspection (CJJI) group, found that disability hate crime made up a small proportion of the police’s workload. It noted, however, there had been a lack of impetus to implement effective training in the absence of Britain’s police, Crown Prosecution Service (CPS) and probation staff. The report, titled Joint Review of Disability Hate Crime, said such crimes are under-reported in Britain, despite previous recommendations from the CJJI to increase levels of awareness. The report, published on Thursday, is a follow-up to a 2013 probe by the group. Its latest findings indicate none of its previous recommendations have been followed, leaving victims of disability hate-crimes lacking in adequate support. “Unfortunately, the approach to delivering effective training by the agencies has been inconsistent and slow. Without the required impetus it is not surprising that performance has not improved significantly,” the report said. Only 71 percent of the total recorded disability hate crimes were found to have been correctly identified, with poor administration accounting and incorrect identification accounting for the rest. “The report’s conclusions show that although the three criminal justice agencies have undertaken some initiatives to improve the way they deal with disability hate crime, the overall performance, acknowledged by all agencies, is still disappointing,” HM Crown Prosecution Service (CPS) Inspectorate Chief Inspector Kevin McGinty said. In response to the report, Chief Executive of the CPS David Tucker and Head of the College of Policing Simon Cole released a joint statement. 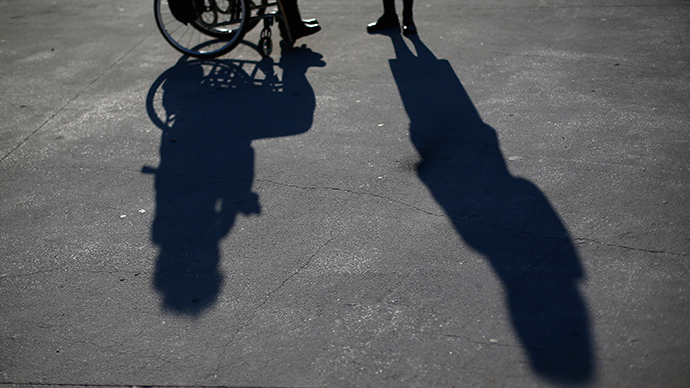 “Disability hate crime is an appalling type of offending. It can have a huge impact on individual lives and undermine trust in society ... We must continue to improve our response,” they said. “The College of Policing has published comprehensive guidance and in 2014 the CPS launched a new disability hate crime action plan. Better training aims to increase awareness among officers and staff throughout the criminal justice system,” the statement read.